Thoughtful, focused openDemocracy commentary on the IS Paris attacks. 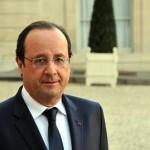 President Francois Hollande. Demotix/ Zaer Belkalai. All rights reserved. On Friday’s massacres in France, I predicted that the attacks would turn out to have been centrally organised by IS – as opposed to being by locals acting in their name, or by Al Qaida. It was hardly going out on a limb, but it has indeed turned out to be accurate. So, what now? It is always risky to read too much into any one terrorist attack. The Madrid train bombings, for example, have often been interpreted as the straightforward culmination of a jihadi strategic study, published online called Jihadi Iraq, Hopes and Dangers, which argued that Spain was the weak link in the ‘crusader’ alliance, and that knocking it out could create a domino effect that would severely undermine the US’s coalition in Iraq. It was too neat though. It read back from the highly contingent fact that Jose Maria Aznar’s Partido Popular would go on to be defeated in the election that followed, to assume that this was what the attackers must have had in mind all along. In reality, the electoral defeat had more to do with the discovery that Aznar had lied about the identity of the attackers than the attacks themselves, and the conspiracy behind the Madrid train bombings would turn out in any case out to have deeper, more complex origins. It also forgot the longer history of jihadist violence in Spain, such as the El Descanso bombing in 1985. There is a deeper lesson about terrorism here. Terrorist attacks are unpredictable in their effects. Indeed, they are inherently so. Where violence occurs in order to achieve a clearly comprehensible and immediate outcome, we tend to refer to it as something else. Those who don’t share the agenda of a given terrorist group almost inevitably cast around for tactical or strategic explanations, and often the terrorists do so as well. But the seeming rationality of strategic accounts is often illusory for all that. Did IS attack France in order to deter? Or in order to provoke? Whichever it was will no doubt seem obvious in hindsight. 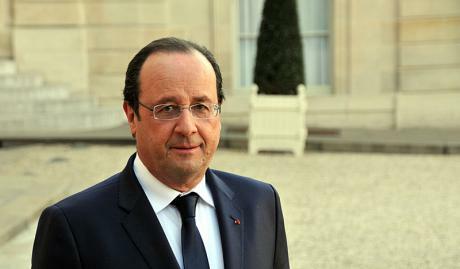 Already, President Hollande is referring to the attacks as an‘act of war’. But was it so whenever this operation was being put together? Overrating the strategically rational motivations of terrorism is often, I suspect, to do with a failure to truly appreciate the seriousness (usually dealt with using the conveniently colourless word ‘ideology’) with which terrorists take the morality of their own acts. From IS’s point of view, it is simple. It is fighting for Muslims against ferocious, predatory monsters who will do everything in their power to annihilate all it holds dear. Apropos of this, it is worth making the point that France – while not a particularly prominent country in IS’s official communiqués to date, is somewhere for which global jihadists arguably reserve a special hatred. In 2009, the pioneering jihadi ‘fan’ magazine Jihad Recollections published an article arguing the case for regarding Europe, and especially France, as even worse than America, and deserving a special priority on that account. When George W. Bush said after 9/11 that al Qaida hated America for its values, that really wasn’t reflective of AQ’s main priorities at the time. But this is a line Francois Hollande could more legitimately lay claim to this time around. Jihadis utterly despise secular republicanism. This is all the more reason for France to truly live up to its promise of liberty, equality and fraternity for all French citizens, striving to deliver that promise unflinchingly, but without hypocrisy, inequality or covert racism. Nonetheless, it is difficult to escape the conclusion that the attacks on Paris yesterday reflect a genuine change in strategic choice by IS. Analysis of the group’s past statements has not encouraged the view that it has previously had a serious longstanding interest in ‘going global’ with its attacks, as opposed to consolidating its territorial all-but state. Besides which, the chillingly effective simplicity of the attacks themselves – striking for the most part at relatively nondescript targets that will never be a top priority for protection, using familiar and readily available weapons, argue against the idea that IS has been trying to do this for a very long time without success. No doubt major attacks have been thwarted. But if this sort of thing is what IS, at its present level of capacity – really wants to focus on – then all the sophisticated intelligence sharing and surveillance in the world won’t be able to stop it completely from doing this sort of thing. So what does this tell us? The most obvious implication is that the present strategy against IS is working. Up to now, pessimists have been swift to point out that air strikes have not apparently damped IS’s offensive dynamism or ability to control territory, while slow, painful advances against the group, as in Tikrit, have usually been rapidly compensated for by counter advances elsewhere. But as the analyst Will McCants observed in a BBC interview yesterday, that may be beginning to change. The killing of Mohammed Emwazi (whose murderous brutality, revolting as it was, apparently posed no immediate strategic threat to the UK warranting the claim of self-defence) nonetheless does indicate that probably no one in IS, however high up, can expect to move around safely any more. The recapture of Sinjar by Kurdish forces is, similarly, a morale boost. But more than that, it is indicative in the bigger picture of the fact that IS, however much it tries to re-assert its momentum, is now locked into precisely the kind of war of attrition which fanatic passion and daring ingenuity cannot win. For IS, losing to a coalition of local militias with air support is clearly the least optimal outcome. Best would be to be left alone to consolidate. Next best would be an epic all-out confrontation with western infidel ground forces. Gilbert Ramsay is a lecturer in International Relations at the Centre for the Study of Terrorism and Political Violence (CSTPV), University of St Andrews.